Pam this is such a beautiful little card. I love the detail and the colors you chose. 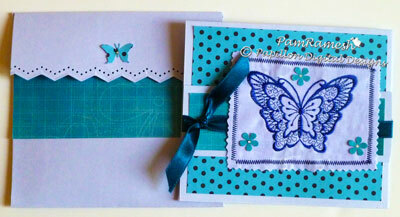 And look at that matching envelope... Love it! Thanks for sharing with us today at She's A Sassy Lady. Wow! Always wanted to get an embroidery machine (like I don't have enough toys LOL!). 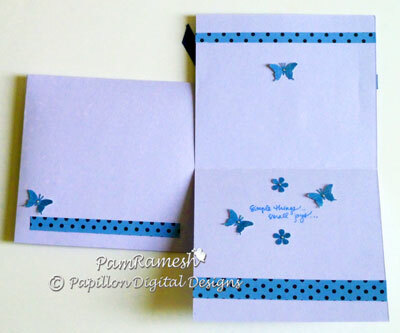 Love your card and the matching envelope. The embroidered envelope is so pretty! That is so awesome Pam!! I can't wait to see how it goes when you use paper. My Mom just upgraded her brother machine and was going to give me her old to use with paper. Very cool. How do you like your embroidery machine?